For herb and vegetable growers, the sun and heat of August is the perfect time to solarize your gardening beds. Solarizing is the practice of covering your planting areas with thick, clear plastic. This technique uses the sun's energy to battle pests, diseases, and weeds in your soil. The plastic covers the soil surface, allowing the soil to reach temperatures that are lethal to pests and weeds. It is especially effective against nematodes, the tiny sand worms that attack plant roots. The plastic cover should remain in place for six weeks. It can be used on raised beds or flat ground. Be sure the site is flat so water doesn't collect on the plastic and produce cool spots or a mosquito breeding place. The plastic should be slightly larger than the bed, with edges buried in the soil. This process, when done correctly, should reduce weeds and soil pests for the next three to four months for fall/winter herbs and vegetables. In correlation with solarizing, August is the time to start your seeds for some of the fall crops. Vegetable seeds to start include eggplant, okra, peppers, pumpkins, squash, radishes, and tomatoes. After five or six weeks in trays or starter cups, these vegetables will be big enough to transplant into your solarized beds. Other vegetables and most herbs can be started in 4-6 weeks. We have frequently been asked for aquatic plants, like water lilies, for water gardens and plants that are suited for ponds. 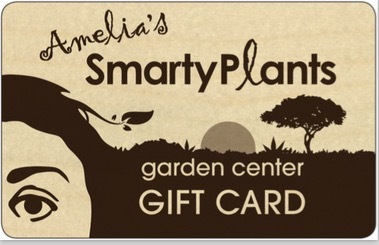 With no local sources available, SmartyPlants is in the planning stages to fulfill that niche. Over the next several weeks, we will be presenting you with a beautiful assortment of aquatic plants just in time to do something special in the garden to celebrate the end of summer. Tropical water lilies prefer water temperatures above 65°F and are always sought after for both small water gardens and larger ponds. They make great centerpieces with their large, exotic, delightfully scented flowers, whether they are the more common star-shaped blooms or the more unusual flowers that are cupped. Day blooming and night blooming varieties, which have flowers that rise above the water by two or three inches, are also coming to SmartyPlants. Aquatic plants that can be used in shallow water or very wet ground are called 'marginal' plants as they grow around the perimeter of ponds or larger water features. Among these types of plants, we look forward to bringing you taros, papyrus, horsetail reeds, pickerel weed, assorted irises, white snowflakes, water lettuce, bog lilies, spider lilies, water celery, and variegated cattails. All of these aquatics make nice additions to any water garden. Praises for endurance through the summer sun and heat go to two plants this month - thyallis (Galphimia gracilis) and bulbine (bulbine frutescens). Thryallis is a proven winner as a stand-alone shrub, a mass planting, or a container specimen; it loves the hot months. Covered in yellow flowers, it can be ever-blooming in our tropical climate. Leave it alone, and it can reach six feet in height, or cut it back once a year to produce a four-foot size shrub that is full and rounded. No pests bother it, and once established, it can thrive with just minimal watering. It is also a good candidate in xeriscape beds. Bees and butterflies enjoy the thryallis nectar. Bulbine frutescens, our other summer survivors, are becoming very popular because they are drought tolerant, salt tolerant, grow well in poor soils, and bloom repeatedly with yellow and orange flowers. They make a great groundcover, forming an impressive clump that can reach three feet wide. You can find two varieties at SmartyPlants - 'Giant Yellow' and 'Hallmark'. Giant Yellow is slightly taller and is solid yellow. 'Hallmark' is a bit more compact and has orange and yellow flowers. Both work well in sunny beds or in containers. Bees and butterflies also enjoy their nectar.